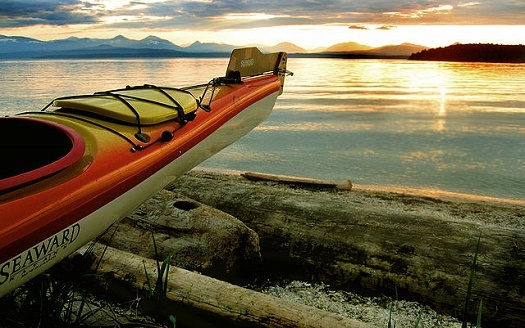 Whether you arrive by ferry or by plane, Vancouver Island promises an amazing escape for anyone who appreciates the peace and wonder of nature, the leisurely pace of quaint fishing ports or the adventure of hiking, kayaking, skiing, exploring and camping in the mountainous provincial parks. 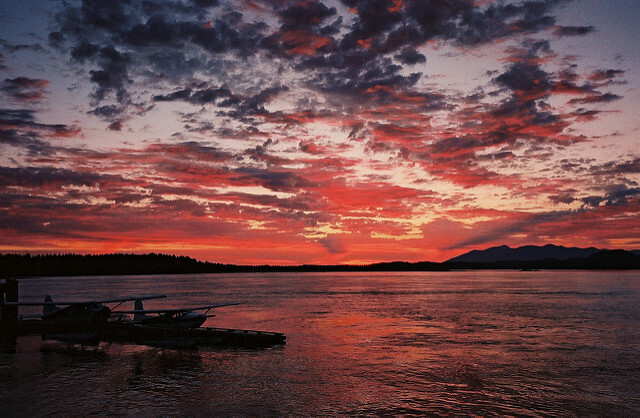 Vancouver Island, known by locals as ‘The Island’ is the very definition of escape for many of us. The largest provincial park on the island is Strathcona Provincial Park, established in 1911. Here you will find a beautiful wild landscape of snow capped rugged mountains, vast forests and meadows of wildflowers in a kaleidoscope of brilliant colors. With many miles of established trails, visitor facilities and campsites open between May and September, the park offers stunning mountain vistas, the 1,440 foot Delta Falls dropping over three cascades and clear mountain lakes and streams. Birdwatchers flock to the park for the Annual Strathcona Birdsearch, spotting diverse species of colorful flycatchers, thrushes, chickadees, grouse and hummingbirds among others. 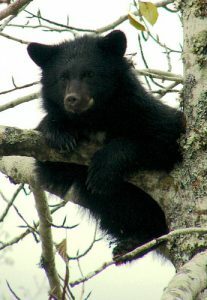 Indigenous wildlife includes the Roosevelt Elk, the Vancouver Island marmot and Vancouver Island wolf and encounters with bears and bald eagles are not uncommon. The Strathcona Park Lodge offers informative outdoor education classes in addition to a variety of activities. 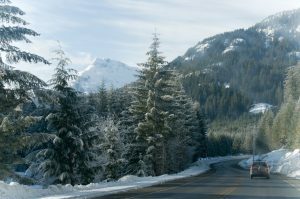 For the skier, Mount Washington Alpine Resort is a top ski area with 81 runs and ad average 38 feet of annual snowfall. 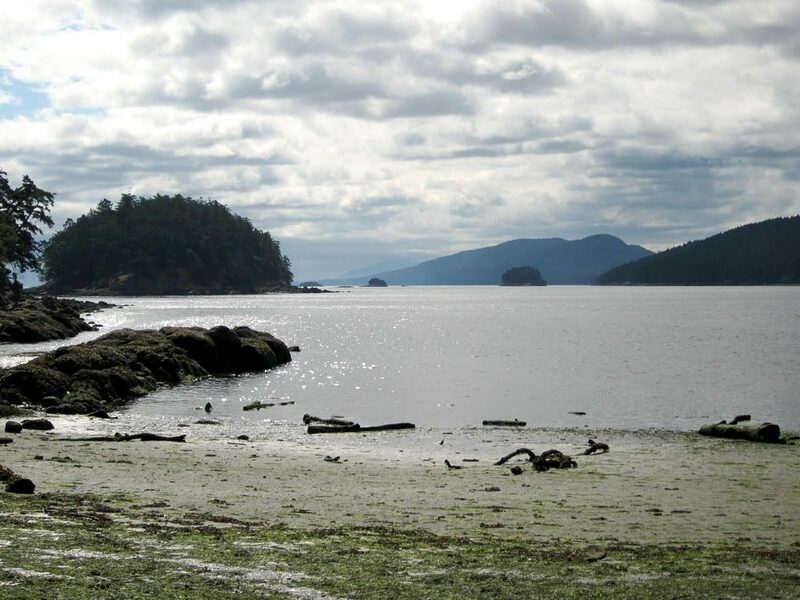 For a more accessible and leisurely outdoor experience, visit Pacific Rim Provincial Park. Located near the fishing village of Tofino on Clayoquot Sound on the west coast, this park offers sandy beaches, miles of rainforest, the west coast trail, important archaeological sites and the possibilities of whale watching or surfing among the island archipelago in Clayoquot Sound. The months of March through May are whale watching season when an estimated 21,000 whales, including the grey whale, migrate northward from California. Located 11 miles northwest of the capital city of Victoria, is Goldstream Provincial Park. Waterfalls, forests of giant cedars and an abandoned goldmine count among the attractions, but the salmon migration in the late fall and early winter is a definite highlight. Between the months of October to December, hiking the trails along the Goldstream River will offer the visitor the opportunity to view salmon leaping upstream as they head to their spawning beds. 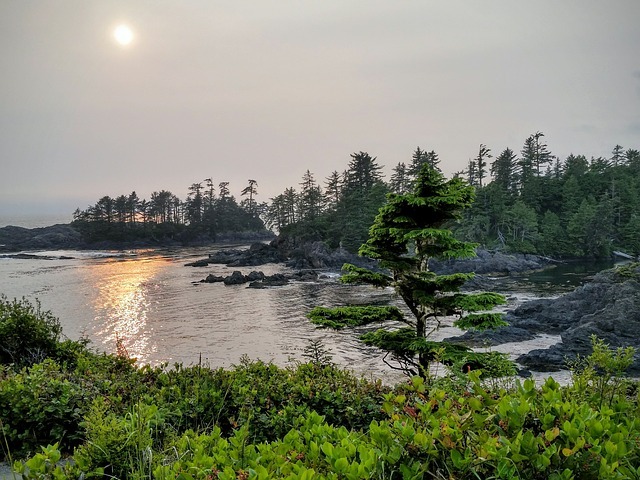 The Wild Pacific Trail at Ucluelet is a trail system along the cliffs of the west coast featuring many viewing platforms constructed from cedar wood for viewing the spectacular shoreline. 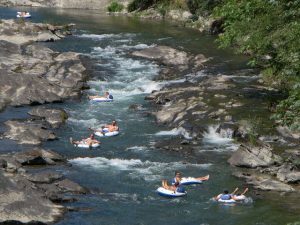 The Cowichan Valley is located northwest of Victoria and is a popular destination due to it’s wineries and tasting rooms as well as it’s wide range of cultural and outdoor activities. Golfing, bike riding and visiting small farms and rural communities with galleries and shops are some of the offerings of the Cowichan Valley. The Savor Cowichan Festival takes place in late September/early October. There is a performing arts center where you can catch theatre, dance and music performances. In addition to the vineyards, there is also a tea farm. This is a great destination for immersion into island life. The many Gulf Islands in the Strait of Georgia are a highlight of the region and can be explored by boat or even by seaplane. There are over 100 mountainous islands, but only 6 of them have a substantial population. 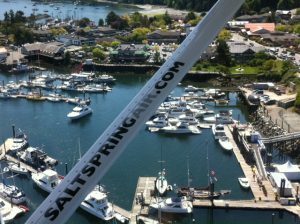 Perhaps the most popular is Salt Spring Island, known for it’s arts and crafts and it’s popular ‘market in the park’. 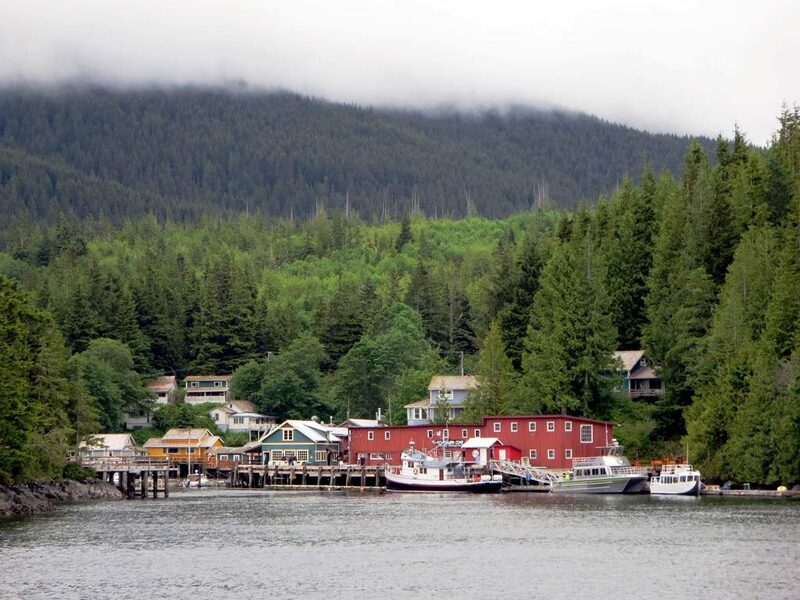 It is said to be a favorite destination for Hollywood stars and has it’s own currency, the Salt Spring dollar which is an accepted currency at local businesses and banks. Bucolic Mayne Island features rolling hills, pastures and rocky bays as well as the Georgina Point Park and lighthouse. This is a popular island for picnicking and enjoying the ocean views. Saturna Island is reported to be the most unspoiled of the accessible islands. The most easterly of the Canadian Gulf Islands, it offers the Brown Ridge Nature Trail from which one can access views of snowcapped Mount Baker in the State of Washington. Stay with friendly locals or visit Montague Harbor Park on the Island of Galiano, or explore the isolated beaches and coves, lakes and rolling hills of North and South Pender Islands, which are connected by a narrow bridge. Pender Island has many ancient First Nation village sites as well as a 27-hole Disc Golf (frisbee golf) course, which is a well known destination for this sport. Jedediah Island was privately owned until 1994, when it became a marine provincial park offering kayaking, boating, camping and hiking. There are tours by seaplane, or you can even sign up to fly along on a mail run, delivering packages and passengers to remote island harbors. 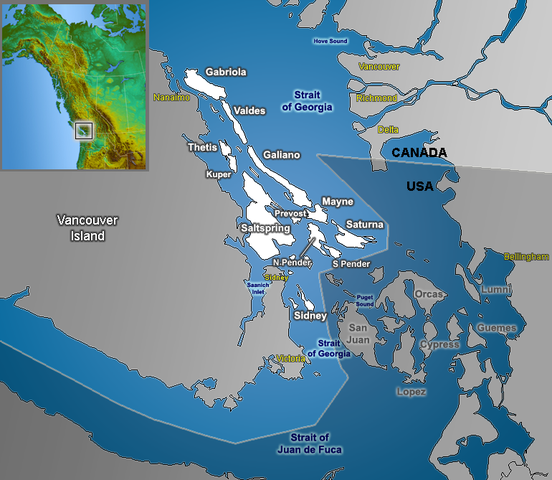 This 206 square mile island, located off the west coast, is known as the place where Captain James Cook first met with the indigenous people of British Columbia in 1778. Featuring magnificent scenery with numerous hiking and kayaking trails, it is well worth visiting. 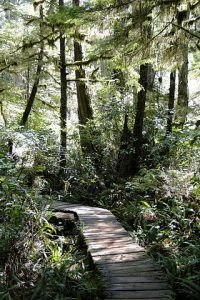 Visit the small community of Yuquot, otherwise known as Friendly Cove and from there hike the Nootka Island Trail for dramatic scenery. Not for the inexperienced, this trail requires seven days to hike one way. There is also a strong chance of encountering bears along the way. This might lead some to prefer exploring the many sounds and inlets by kayak. Nootka Island is remote and rugged at it’s best, and of course, is best explored with the help of an expert guide.